SunNet Solutions, headquartered in Houston, has established a stellar reputation as a premier provider that focuses on developing high performance web/mobile applications, planning information technology strategies, and providing business solutions. SunNet has been receiving high satisfaction ratings from clients since the company was first founded back in year 2001. We provide a full range of custom software programming services including planning, design, development, maintenance, enhancement, and data analysis. Our client range from small businesses to large organizations. Most of them have received significant growth as the result of being able to maximize business efficiency, increase their customers' satisfaction rating, and ultimately increase their own revenue from using our services. 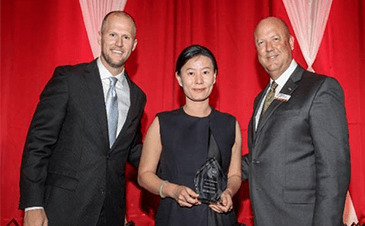 The Houston Business Journal awards this prestigious recognition to the top 100 privately held companies in Houston that have had fantastic revenue growth between 2013 and 2015. SunNet Solutions has proudly ranked 69 on the Houston Business Journal’s 2016 Fast 100 list. 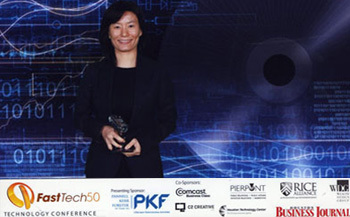 SunNet Solutions has just been named one of the recipients of the FastTech 50 award for 2011. This prestigious award is hosted by the Houston, Texas Business Journal and is given to companies in the Houston area that have experienced the greatest percentage of revenue growth in 2010. Every year, the Houston, Texas Minority Business Council and the Houston Business Journal come together to evaluate the top 10 emerging minority businesses of the year. 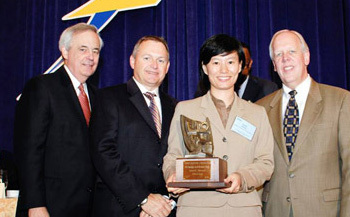 In 2007, SunNet was honored with the prestigious Emerging E-10 award.